W had only been in school a week or so when he started talking about ‘M’. He said he was going to invite her over to watch Zootrpolis, and then the next day he said she’d kissed him! A few days later on our class Facebook group, her dad outed them… she’d told her dad they were girlfriend and boyfriend and that they were going to get married on Barry Island! I was really not expecting to be dealing with child romance at such a young age! It’s very cute. 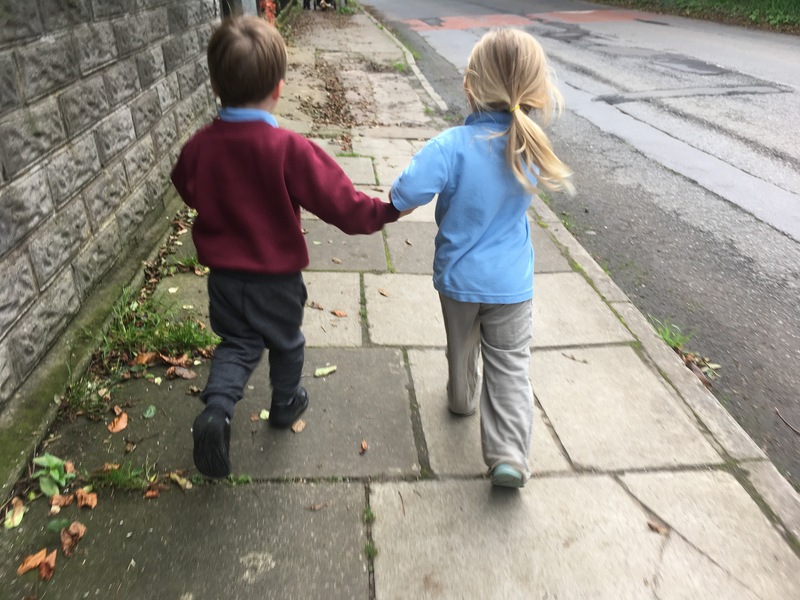 She lives nearby so they quite often walk home together….. melts my heart!